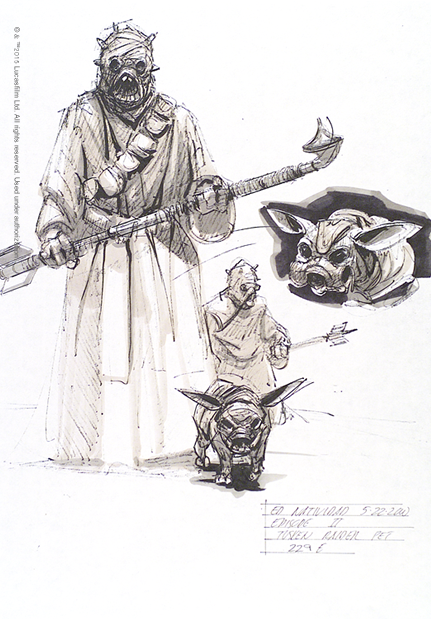 Hiding beneath their helmets and robes, the Tusken Raiders, or sand people, were fierce, highly territorial desert dwellers on Anakin and Luke Skywalker’s planet, Tatooine. They appear covered from head to foot in tattered rags and robes, and brandish a deadly bladed club, or gaffi stick, and projectile rifles. 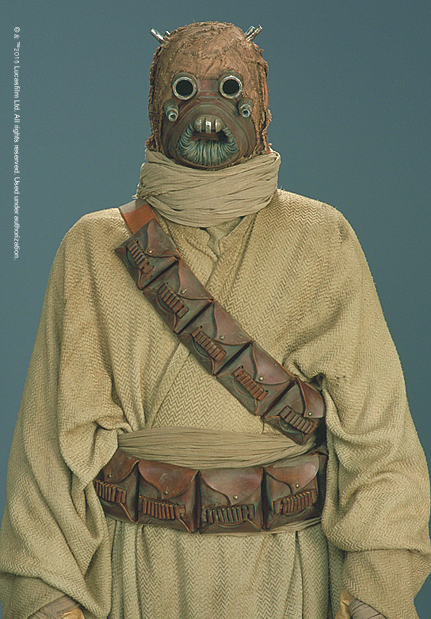 Females are distinguished by their elaborate masks with eyeslits and torso-covering sand-shrouds. 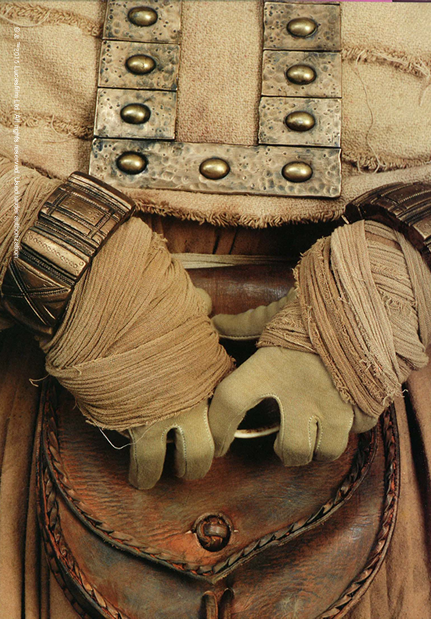 These costumes are reminiscent of burkas (full body cloaks worn by some Muslim women), and could reflect the social status of females in Tusken society.